Charge Shot!!! : Windows 8: What's Next for Windows? Windows 8: What's Next for Windows? A couple weeks back, I did a piece on the next version of Mac OS X and what it was set to bring to the platform. Now, I want to cover the other 90% of the world's computer users and talk about what's next for Windows. This will involve a bit more mystery and conjecture than the OS X preview, not because Microsoft has suddenly become as secretive as Apple but because Windows 8 is at least a year and a half away at this point, and as such most of what we know about it has either come from Microsoft shills who don't understand how "marketing" works or dubious Russian websites that aren't exactly known for their fact-checking. That being said, as far as I can tell Windows 8 is shaping up to be quite the release. Let's have a look. A few months ago, we didn't know much about what Windows 8 would be, or even what the scope of the release would be, but things are slowly coming into focus. Windows 8 will build on the foundation of Windows 7 - in that sense, it's a "minor" release, more like the jump from Vista to 7 than the wider gulf that separated Vista from XP. It's unclear how things like the basic user interface will change (early screenshots of the desktop look identical to Windows 7, but things as far-reaching as the basic look of the OS usually aren't revealed until later in the development cycle), but Microsoft is taking pains to craft a separate, tablet-oriented layer that will make the OS better suited for iPad-style multitouch tablets. Windows 8 will also make a break from longstanding tradition in that it will run on processors not manufactured by Intel (or AMD, or anyone who makes Intel-compatible x86 processors). Microsoft is re-coding the OS from scratch to run on the low-power ARM processors that power modern-day tablets and smartphones. ARM processors typically can't reach the performance peaks that Intel-compatible processors can, but they're an order of magnitude better with power consumption than even the Atom processors that power current netbooks. The downside is that current Windows programs are written for Intel processors, and their developers will have to rewrite them to get them to run on the new OS. This may lead to a dearth of programs on the platform, which will inhibit adoption of the platform, which will discourage developers from rewriting their programs. It's a vicious cycle that has killed many an operating system, and it's unclear whether Microsoft can overcome it. There are a few other, more minor features: Windows will now ship with a PDF reader, making Adobe Reader less necessary, there's a built in backup/restore option called History Vault that should help users more easily wipe their systems clean from viruses, and we'll probably see Internet Explorer 10 launch with the new OS as well (Internet Explorer 9 was released just last month). We don't know a lot about the underlying architecture of Windows, but it's safe to say that it's going to have to be more dynamic and scalable than ever before - Microsoft is going to have to put out a Windows version that runs just as well on a high-end monster of a workstation as it does on your tiny netbook or tablet. Windows 7 made some tentative steps in this direction, but using it on an underpowered computer can still be kind of a chore. Windows 8 is also likely (but not guaranteed) to be a 64-bit only operating system, where previous versions have been offered in 32-bit and 64-bit flavors. Microsoft has been threatening to make this jump for some time, and Apple has been making it in baby steps for the better part of the last decade. This won't really be a big deal for most people - 64-bit is superior mostly for its ability to use more system memory (up to a maximum of 192GB, a big jump over 32-bit Windows' 4GB limit), but if you don't know or care about the distinction already it's probably safe to say that you won't need to start. Regarding release date, again, we have no details, but we can look to the Windows 7 development cycle for some precedent: we should see a public beta this winter, a release candidate (common parlance for "the last testing version before we release the OS") in the spring or summer of 2012, and a final release later that same year, fulfilling Microsoft's stated goal of replacing Windows 7 at retail within three years. My wishlist for Windows 8 has a lot less to do with features and a lot more to do with how Windows is packaged and sold. 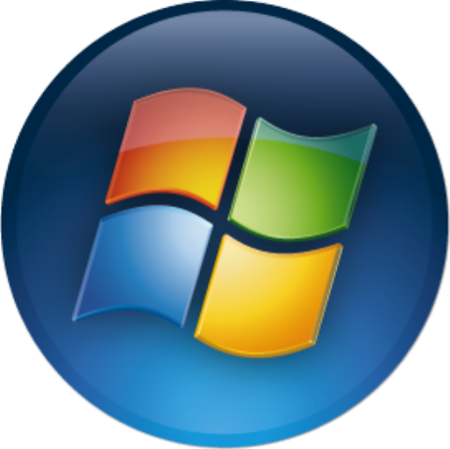 For a long time, Windows was sold primarily in two flavors - consumer-grade (Windows 95, 98, ME) and business-grade (Windows NT and Windows 2000). With Windows XP, these two lines were merged - the consumer-oriented product (Windows XP Home) benefitted from the superior underlying construction of the business OS, while the business-oriented product (Windows XP Professional) gained wider compatibility with programs that people wanted to run. These were sold as separate products, but aside from a few features here and there they were in essence the exact same operating system. Other editions (Media Center and Tablet) existed, but were only sold through boutique sites and computer vendors, meaning that consumers rarely had to deal with them. This worked out fine, more or less, but with Windows Vista the number of products on Microsoft's shelf exploded. XP Home was essentially comparable to Vista Home Premium, but low-cost laptops also sometimes came with Home Basic, which removed even more features. Vista Business was roughly comparable to XP Pro, but where XP Pro had all of the features of the cheaper XP Home, Vista Business was missing Windows Media Center and several other consumer-oriented features. Vista Ultimate was the only version that had everything, but the number of benefits didn't at all make up for the hefty price difference between it and the lower tiers. That messy paragraph perfectly exemplifies the Windows licensing situation today: complicated and hard to explain. 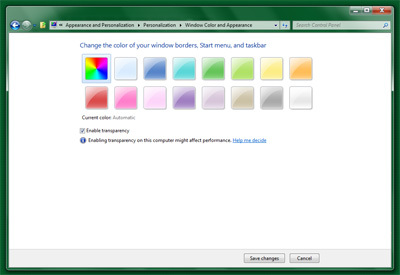 Windows 7 improved the situation somewhat, in that every tier of the OS contains all of the features in every tier below it, but there are still four major Windows editions that people have to know about when they go to pick out a new computer or upgrade an existing one. My suggestion to Microsoft would be to sell just one edition of Windows at one price, though this is incredibly unlikely to happen. At this point, having a multitude of difficult-to-differentiate versions of the same product is in Microsoft's blood (see Office 2010, which has an equally bewildering variety of editions). Microsoft has demonstrated its inability to think so radically about its core products, and so we're probably going to be stuck with Windows 8 Home Premium Plus ARM Edition. I'd be happy enough if they killed the useless Ultimate edition. Reduced pricing would also make me happy. Apple sells OS X 10.6 for $29, and my guess is that 10.7 won't make it back up to the $129 price point of previous versions - it's tough to put that foam snake back in its can of novelty peanuts. iOS and Android updates are typically free. Windows starts at $120 (for an upgrade license for the lowest-tier) and goes all the way up to $320 (for a full version of the highest-tier) and there are plenty of stops in between - it'd be awesome to see it drop to half that.